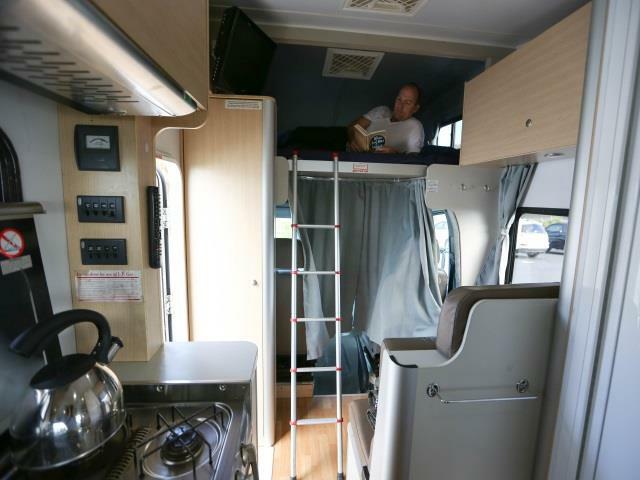 Without a doubt, this home on wheels is the ultimate freedom machine. 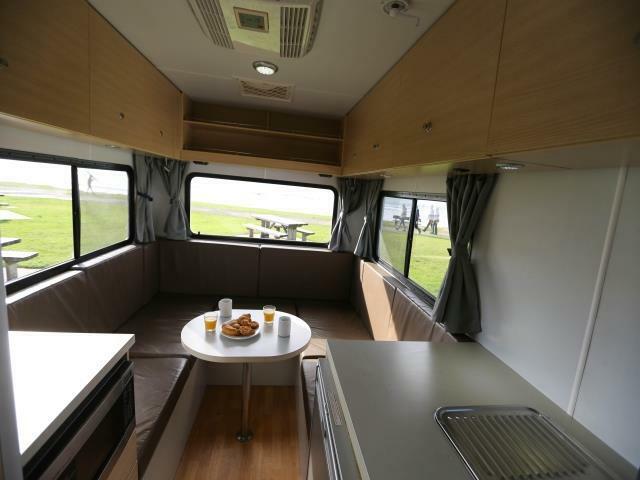 Mum, Dad & the kids, or even two couples will enjoy the open road in this campervan, complete with mini-kitchen and bathroom. 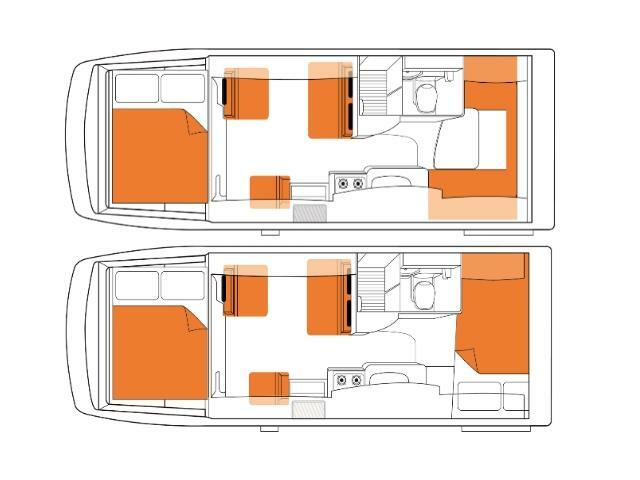 Hire the The Explorer and have an exciting Australian adventure. The top bunk bed is not fitted with child safety barriers. We recommend children sleep in the lower dinette-converted beds. Two child seats (three years and under) can be fitted to the rear forward facing seat with a baby bolt. OR two booster seats (minimum four years of age) can be fitted to the rear dinette seat with a lap belt. Waste Water Tank : Holding tank for grey waste water generated from the shower and the kitchen sink. Disposable at camping grounds and dump sites. Holds 82-90L. Kitchen : Fridge/Freezer: 130-140L capacity. The fridge operates on 12V battery/240V mains power. Fridge performance may be affected in extreme temperatures. Gas Cooker: 4-burner cooker with griller ignited by a match. Average 11L/100km. This may vary subject to the use of air-conditioning, temperature and terrain. Power Supply : 12V battery / 240V mains power. 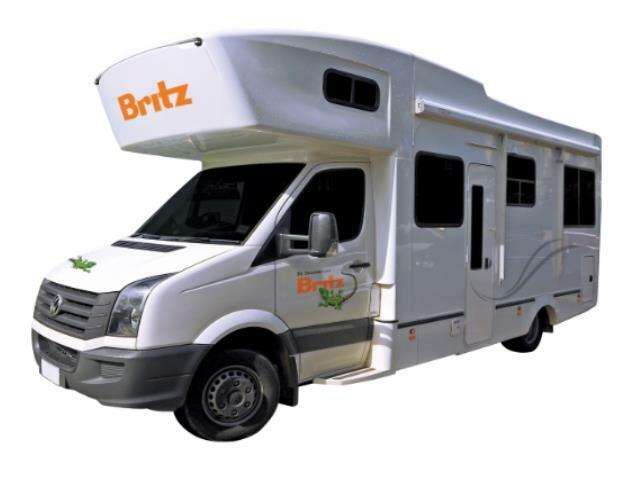 The vehicle is supplied with a 10m mains power cable for use at the campgrounds. The vehicle also has one 12V battery for the domestic system and a separate 12V battery for the engine.